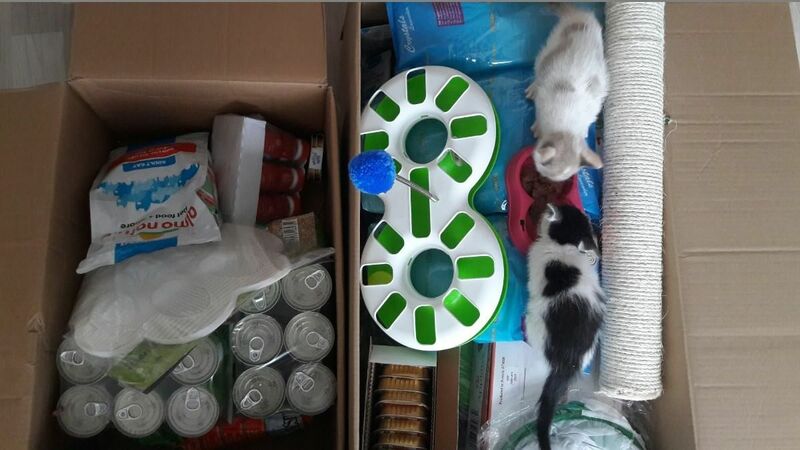 New delivery for the Kitten Foster home in Riga brought some food and toys for its inhabitants. This small foster home, located in Riga, Latvia is the one of a lot of private foster homes for homeless kittens, abandoned at the streets. Foster family takes care of the animals until they find permanent ones. To grow up healthy and strong kittens need to eat well and regularly. Foster parents care about the health of the animals in the first place, so a visit to a veterinarian is essential. However, the foster home need a help and support. Buy the necessary products from the list located on the foster home page and help little kittens!